Dang... I do have many blog posts to do but my final thesis deadline is getting closer and closer. And I am supposed to meet 2 deadlines. 1 is for last evaluation [have to finish 99%] in 2 weeks. 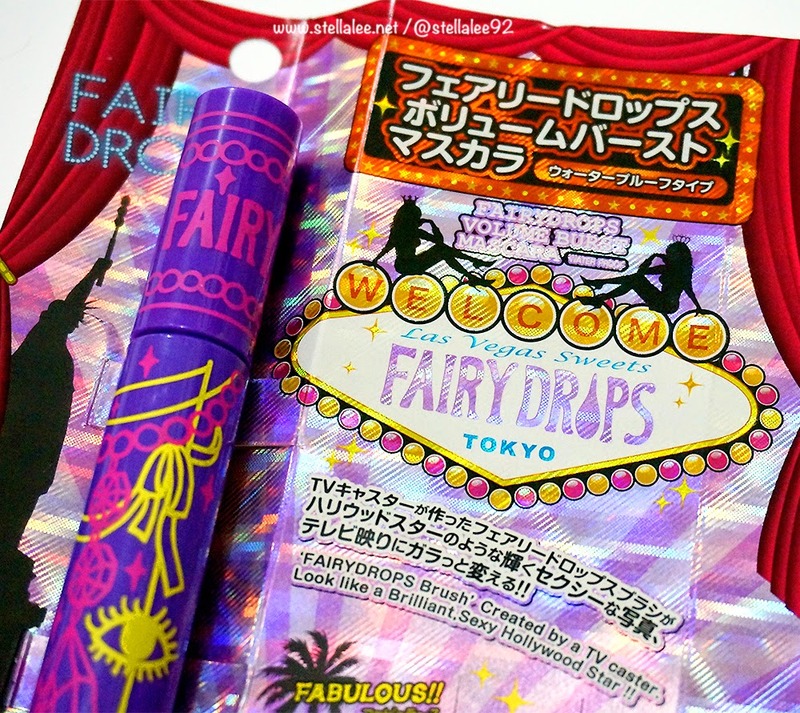 And another one is the thesis assembly in the end of June..
My top 3 favourite mascaras are from Lancome and Dolly Wink, and the other one is this, Fairy Drops! 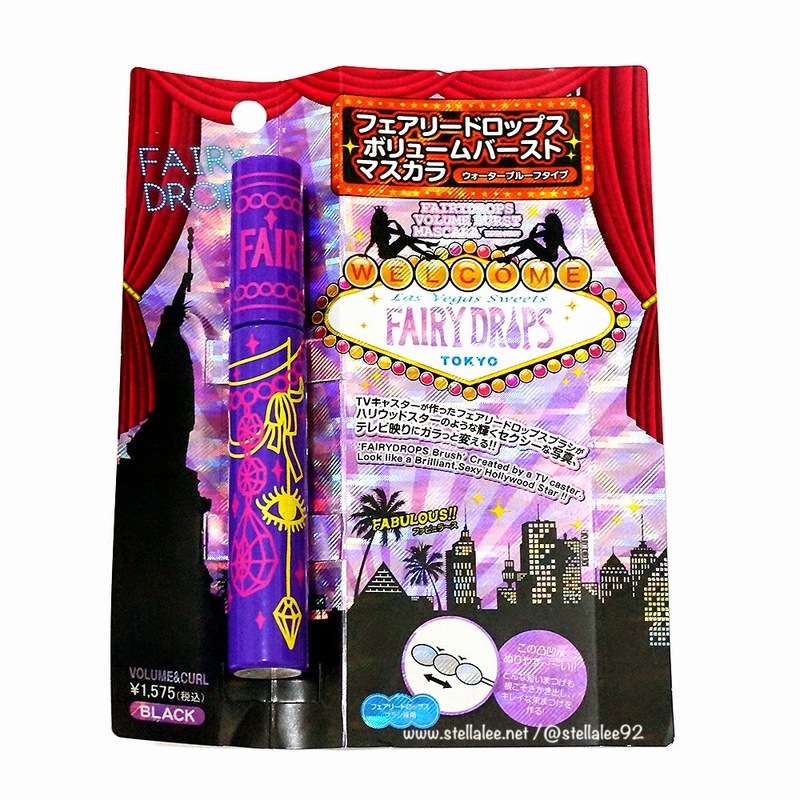 Fairy Drops Mascara comes in many types and this time I pick volume and curl instead! 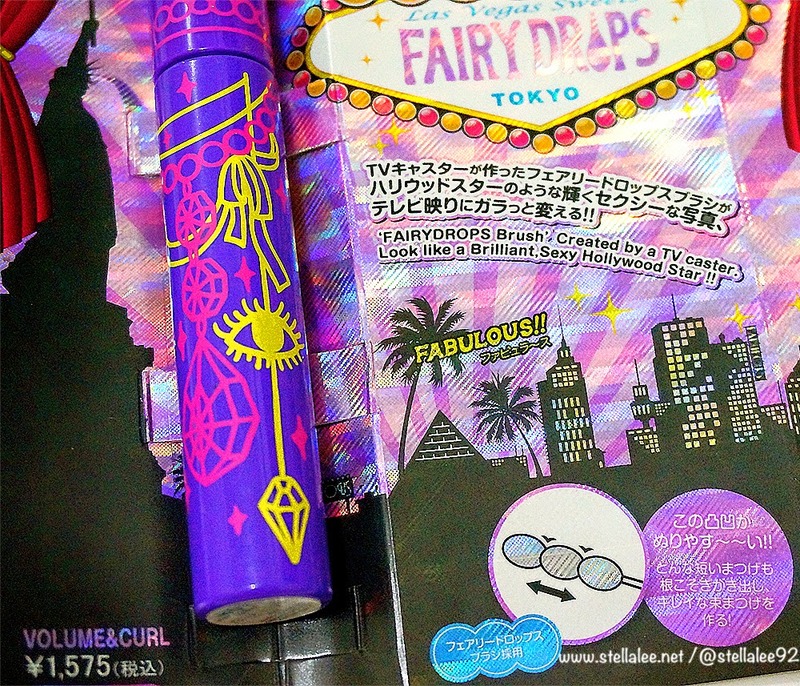 There's also a picture reference about how the mascara wand looks like! It comes in 3 buds shape like, and looks very cute! 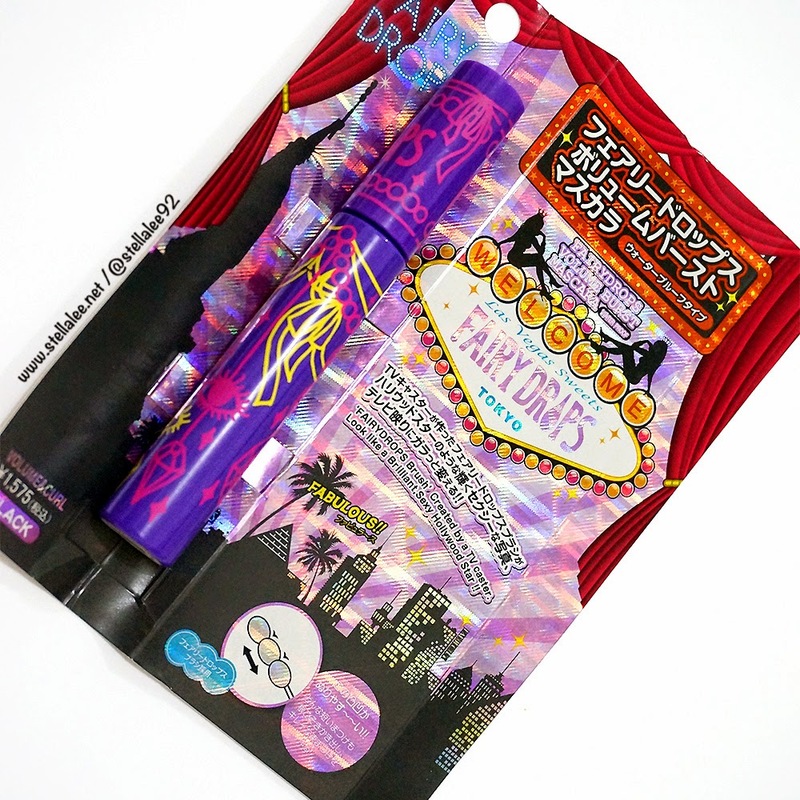 The mascara itself comes in neon colour. 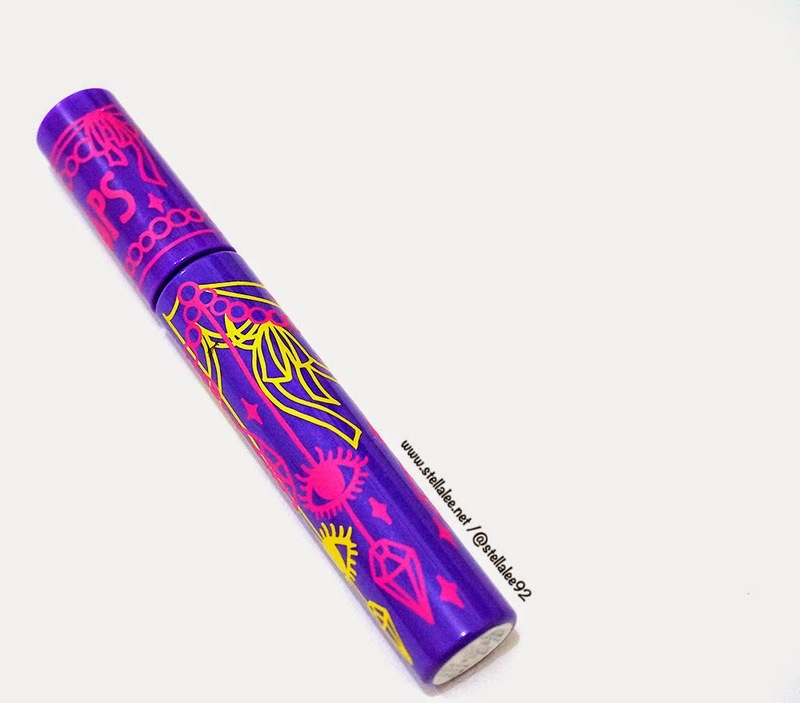 The purple colour as the base colour gives eccentric look, and the doodle design is made in hot pink and bright neon colour and makes the whole design very unique and fun! 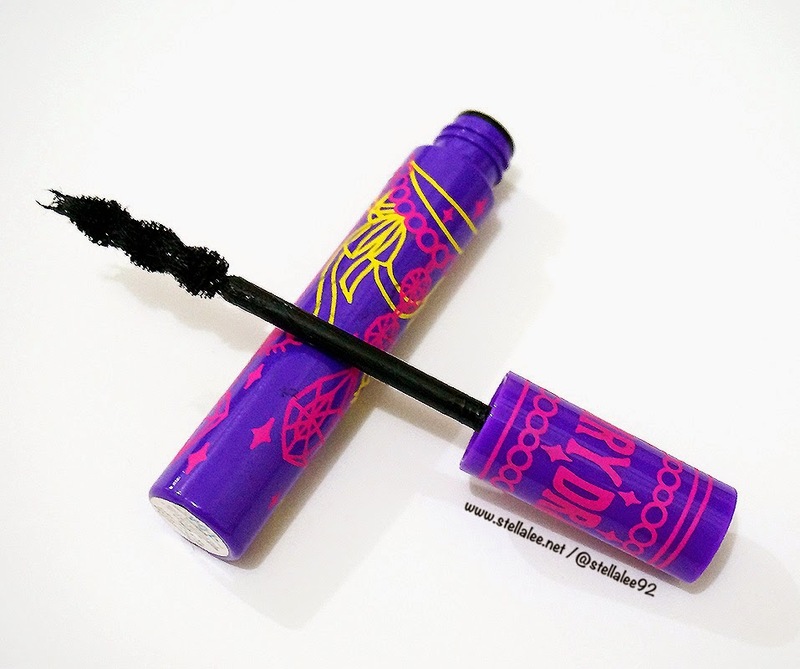 I have never seen a design like this before for mascara! I like how it really has nice result on me! It really gives more volume and length, and the result looks very natural. The colour is very dark, in pitch black shade, so it gives illusion of more volume on lashes and appears better on pictures. The curl last whole day and it's waterproof and oil proof. Doesn't smudge thorough the day and it is very easy to remove!! I don't recommend having this mascara too much though, like what I did on the last picture. It makes the mascara becomes kinda clumpy, and the fibres stick to each other.. However you can simply brush it with lash brush to get rid of the clumpiness, but for everyday, I recommend just a single coat! Doesn't smudge, no panda eyes yey ! 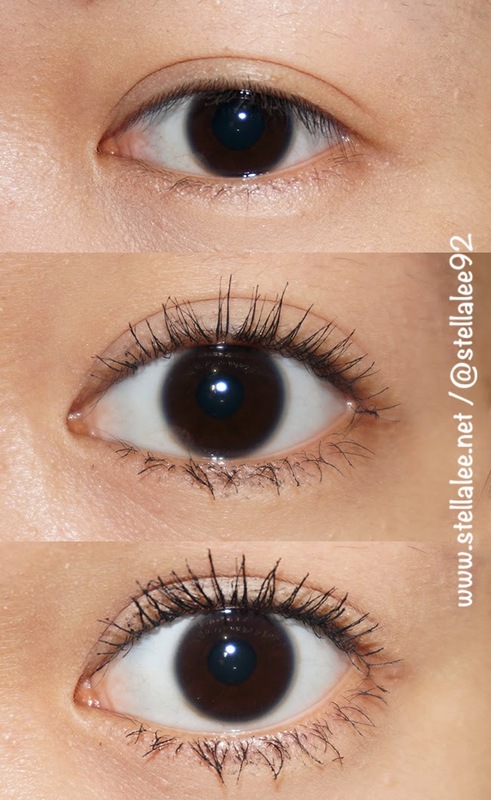 So if you have short and thin lashes, you might want to try this out! I don't know how to make up my eyes actually. It's difficult and If I try I will hurt my eyes. Its terrible. Can you give me some point how to make up our eyes without hurt it? Looks very great on you! Natural but with a big boost to thickness and some length! I have had my eyes on this for a long time! But I wasn't sure if I should get it or not, my eyelashes are like yours too, short, thin and points down at all time. I was wondering, after you curl your lashes, apply this mascara, does your lashes just stay curl or it goes back to your first pic before you apply this mascara? It stays for a long time! :D I am so happy with the result! It's so easy to clean it off as well. Totally recommended! It seems really really good! Kalau di Jepang sendiri Fairy Drops biasa dijual dimana ya? desain botolnya rame banget yaa..